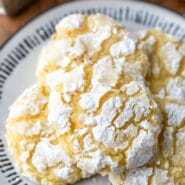 Lemon Coconut Cookies are soft lemon cookies that are made with coconut oil and shredded coconut for a refreshing one-bowl cookie recipe. Originally published 1/10/14. Last updated 3/20/19. 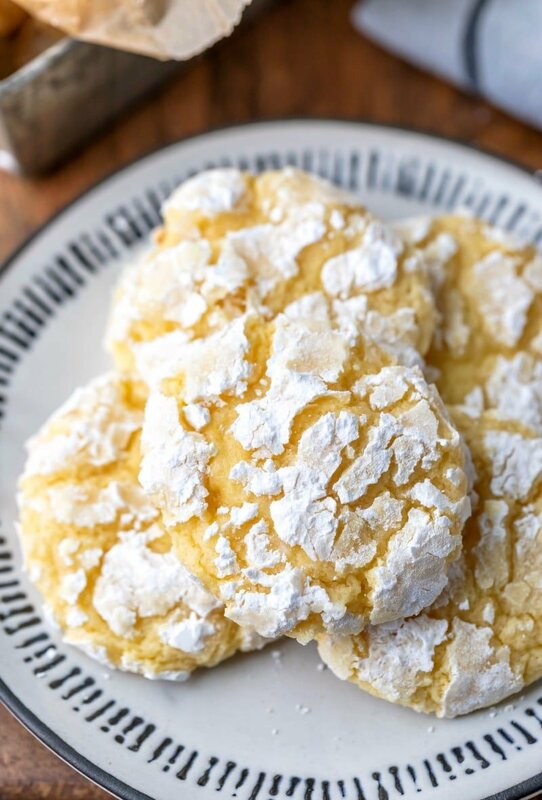 I have something good for you today – this Lemon Coconut Cookie recipe. I’ve been craving lemon. It happens every Winter when it’s dark and snowy. So, I warmed up the house by making these cookies. They’re a pretty balanced blend of coconut and lemon. These soft cookies are bright and citrus-y and a little tropical. 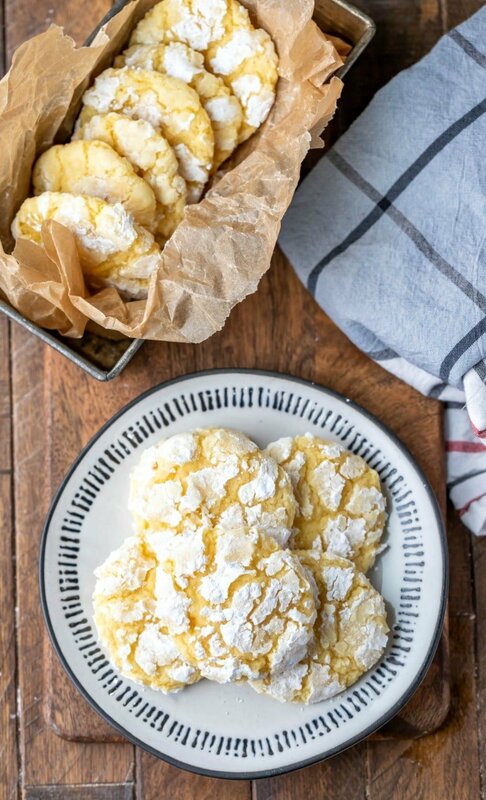 These lemon coconut cookies are also super easy to make! They are made in one bowl, and they don’t require any chilling before baking. So, they’re a quick and easy cookie recipe. 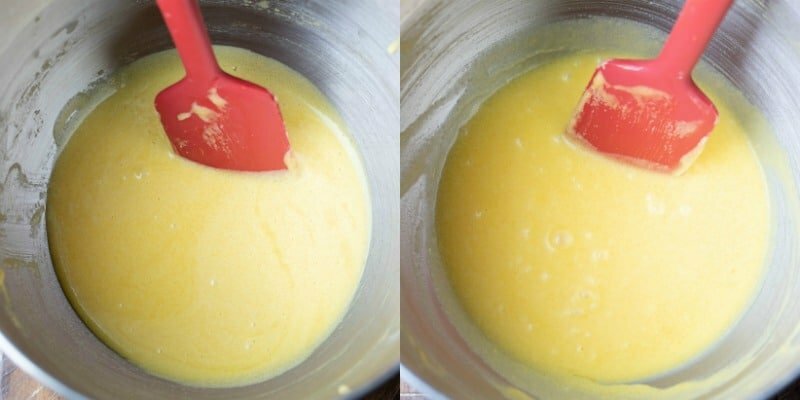 Begin by beating the egg, egg yolk, and sugar together until combined, about 1-2 minutes on medium. Mix in the melted coconut oil and vanilla extract until combined. Mix in the lemon juice and lemon zest until combined. Add the flour, cornstarch, baking soda, and salt. Stir in just until combined. Don’t overmix or use too much flour, or the cookies won’t be soft and tender. Stir in the coconut just until incorporated. Scoop up the dough, and roll each scoop in powdered sugar. Place the scoops of dough about 2 inches apart on the prepared baking sheet, and bake. The cookies should be set at the edges but still look soft and a little underdone in the middles. It’s best to freeze the dough if making the cookies ahead of time. Don’t coat the dough in powdered sugar until just before baking. Otherwise, the powdered sugar will melt into the cookies as they thaw. These cookies can be stored, covered, at room temperature or in the fridge. If stored at room temp, you may need to allow a little airflow to prevent the powdered sugar from melting into the cookies. 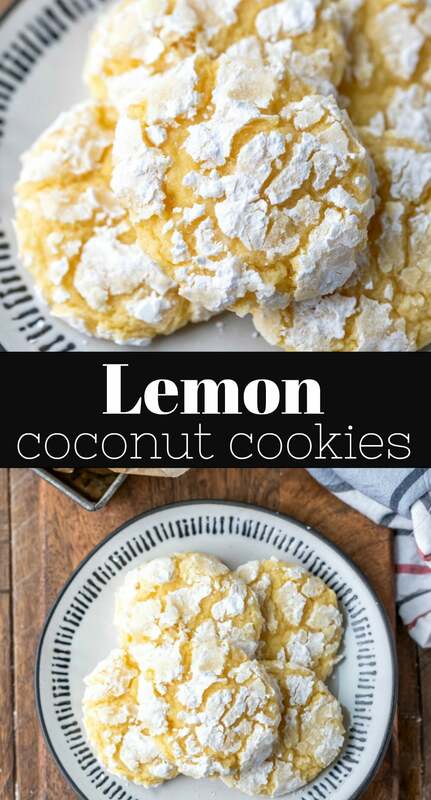 If you’ve tried this lemon coconut cookie recipe, don’t forget to rate the recipe and leave me a comment below. I love to hear from people who’ve made my recipes! Preheat oven to 350 F. Line 2 baking sheets with parchment paper or silicone baking mats. In a large bowl, beat together granulated sugar, egg, and egg yolk until well-combined. Add melted coconut oil and vanilla; stir well to combine. Stir in flour, corn starch, baking soda, and salt; mix until just incorporated. Add coconut, and stir until just combined. Using a medium cookie scoop (1 ½ tablespoons), scoop dough. 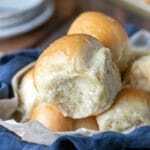 Roll dough balls in powdered sugar, and then place dough balls on prepared baking sheets about 2 inches apart. Bake for 8-10 minutes, or until middle is set and edges are set. Centers should look soft and underdone. If the coconut oil is already melted, use 1/2 cup. Be sure to either weigh or properly measure the flour by sifting, lightly spooning into the measuring cup, and then leveling. I just finished making these cookies & they are so good! I’m not sure if I baked them enough though as they start to fall apart in my hands after baking 12 mins. I tried taking them out sooner but they looked too undone. 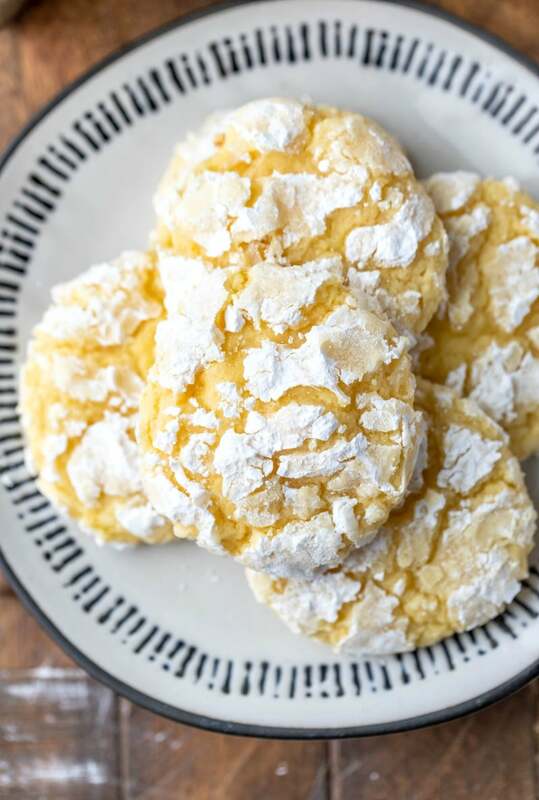 I will continue to make these as they are the best homemade lemon cookies I’ve ever tried making. Thank you Kate for sharing! 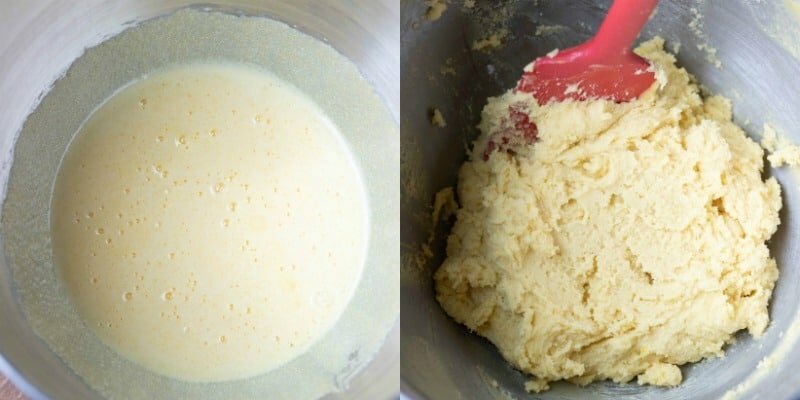 Can a stand up mixer be used on this recipe? Thank you! I’m so glad that you liked them! =) When you say that they fell apart, were they crumbly? They should be soft, so they may look a little underdone in the middle. Yes, you can use a stand mixer for this recipe. No, not crumbly Kate. More like, soft enough to be limpish. Still…..they are fabulous! I have seen several types of coconut oil in the grocery stores. Having never bought it, I’m confused as to which brand, type to purchase? 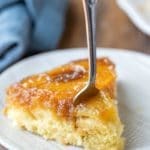 What do you recommend for this recipe? Hi! I’ve used several brands of coconut oil, and I don’t have a favorite. The one that I’m currently using is LouAna Organic Coconut Oil. I bought it because it’s non-hydrogenated, and I picked it up at Walmart. Hope that helps! I want to make these cookies in advance. Would they freeze well? I wasn’t sure if thawing them out to eat would make the powdered sugar melt? Do theses freeze well? I wasn’t sure if when taken out of the freezer to thaw to eat if the powdered sugar would melt? I’m thinking of making these at Christmas and wanted to make them in advance. I haven’t tried freezing them, but I think it might work better to freeze the scoops of dough and then just roll in powdered sugar and bake once you’re ready. The powdered sugar probably will melt into the cookies if it’s done in advance. Good luck! I came across this recipe today and made a batch. This was my first time baking with coconut oil. I made them with a smaller scoop and got 30 so I’ll call them “bites” rather than cookies. They taste delicious and the texture is great. Thanks for the recipe. Yay! I love the idea of cookie bites! =) Thank you for taking the time to come back and leave a comment. We made these for the first time today and they’re tasty! You should get about 22 cookies. (as in tablespoon)corn starch but on pinterest’s ingredient list for the recipe it says “1tsp” corn starch. Please clarify, thank you! It is 1 tablespoon of corn starch. 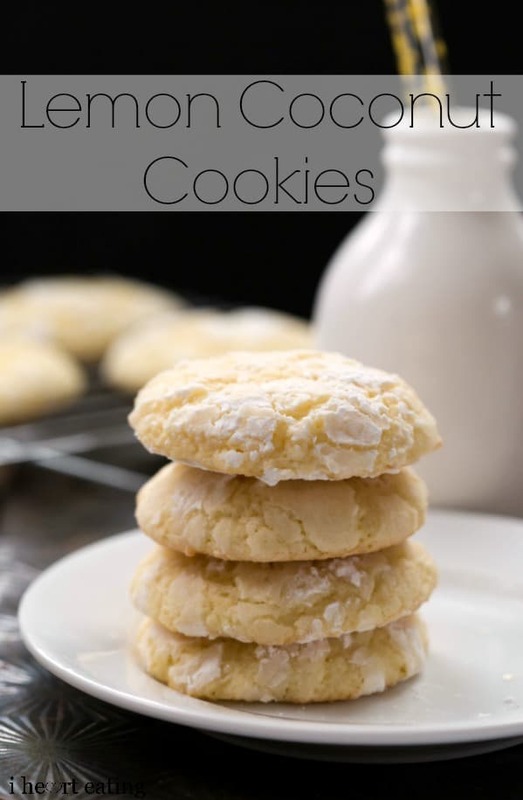 I haven’t noticed a strong flour flavor with the cookies, but you could always play around with adding more of the lemon zest or even adding in a little coconut flavor. I’m not sure why Pinterest is listing different quantities on my recipes. If you ever have a question about it, please let me know. These cookies sound great! 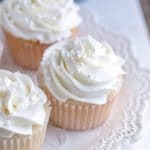 I´m in a huge lemon flavored mood for my baking lately, and these combined with coconut are just perfect! Thanks for sharing! These are two of my FAV flavors when it comes to dessert. Can’t wait to try these!! These look marvelous! I’m going to try them with and without some fruit preserves in them. Lemon is a great way to bring some cheer into the house and beat the winter doldrums. Keep the recipes a-comin’! In your delicious recipe, you use coconut oil. Presently, I don’t have any in my pantry. I’ll be using butter. What do you think will happen when I do this? I think it will be fine. =) If you use butter, you’ll need to increase it to 1/2 cup. 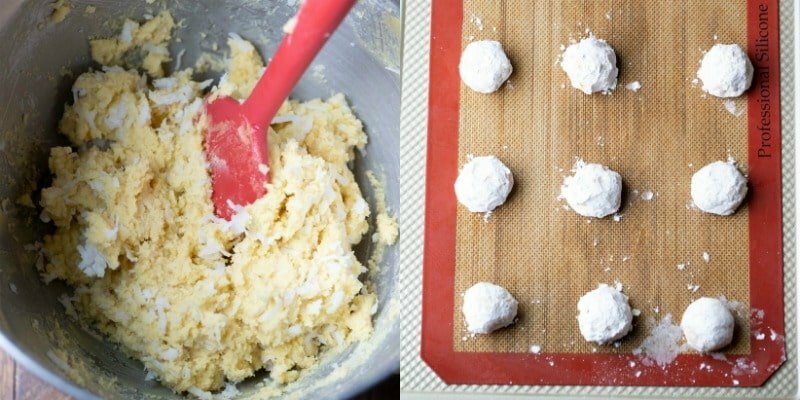 The cookies will also have less coconut flavor if you use butter, but you could add a little coconut extract (maybe 1/2 tsp.) if you wanted to get more of the coconut flavor in the cookies. Good luck! !